When you seek orthodontic treatment for yourself or a family member, you certainly want to find the best, state-of-the-art practice with highly trained, experienced orthodontic experts who use the most advanced treatment options. In fact, why not go to the practice where celebrities go to achieve their beautiful, award-winning smiles? Fortunately, California Dental Care & Orthodontics has been delivering high-quality dental and orthodontic care throughout the local area and beyond since 1994. Our elite team of Rancho Cucamonga Invisalign dentists and orthodontic specialists have transformed over 500,000 smiles, including for actors Jessica Alba, Kevin Costner, Latrice Harper, and Richard MacZura – just to name a few! We Treat All Our Patients Like Celebrities! Our orthodontics team has extensive experience providing specialized braces and orthodontic treatment to patients of all ages. We make sure you and your child feel comfortable during your treatment with our warm and inviting atmosphere created by our knowledgeable and friendly orthodontics team. Whether you are looking for traditional metal and clear braces, or an alternative orthodontic treatment like Invisalign’s clear aligners or invisible Incognito braces placed behind the teeth, we are ready to get you started on your journey to a brighter, healthier smile. 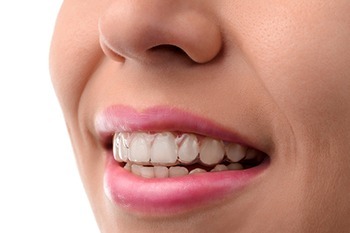 Want to Learn More About Treatment with Our Rancho Cucamonga Orthodontist? We invite you to schedule our FREE Orthodontic Consultation by calling 909.945.0024 or clicking here for our convenient appointment request form. This 100% complimentary, no-obligation appointment includes a comprehensive oral health exam, digital x-rays, and a consultation with our orthodontic specialist. For a limited time, we are offering new patients $1,000 off any orthodontic treatment and 1/2 off in-house teeth whitening after treatment. California Dental Care & Orthodontics is pleased to offer several FREE consultations, with special discounted pricing for committing to treatment on the same day. If you are interested in getting dental implants to improve the health and aesthetics of your smile, you can schedule a complimentary Dental Implant Consultation, which includes a thorough examination, digital x-rays, and a personalized consultation to learn about treatment options with our dental implant specialist. We also offer a free Sleep Apnea Examination, which includes an oral examination and the opportunity to discuss sleep-related breathing disorders with our team of dental specialists. As one of the premier dental and orthodontic practices in the Inland Empire, our elite team of Rancho Cucamonga Invisalign dentists and orthodontic specialists also provide award-winning oral health care to patients from Alta Loma, Ontario, Upland, Claremont, Fontana & Rialto, CA.